Can you recall to have listened to a presentation in which you had no difficulty paying attention? How often your mind got distracted? Was it because of the topic of the presentation or because of the way the public speaker presented it? 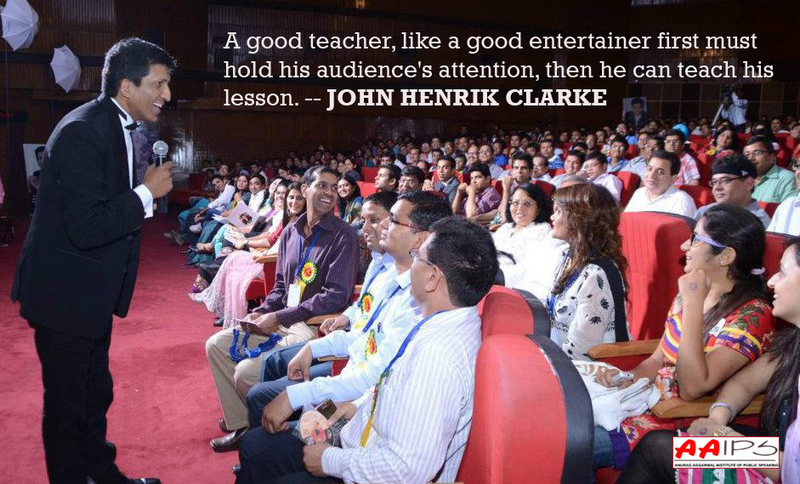 Audience plays a vital role in public speaking. In public speaking, we often have to give presentations before a large audience but many times we do not realize if the audience is even listening to us or not. The presentation may be about something interesting but due to certain mistakes made by the public speaker or the presenter, the audience may divert their mind. And certainly, the biggest mistake made by the speakers is that they do not realize how the audience listen. It must be noted that the attention span of the audience behaviour is very short. The attendees of a presentation may be willing to listen to you, but they are the ones who also get easily distracted. If they start disliking your speech they will be deviated from the topic and will start talking to the other person or in some other way would not pay attention to your speech. Give them the topic of their interest. Give them what they want to listen, what they would be interested in. Or even if you select a topic of your choice, present it in such a way that they would want to hear. Almost everyone listens in the beginning of a presentation, but by the time it reaches half, the attention may drop to around 10-20% of what it was at the start. Again at the end, many people start to listen again, particularly if you announce your conclusions, because they want to take something from the presentation. They also may try to bring out some conclusion from your talk too early when they disagree to your point or something. At this time they would want to reject you. Do not say anything which may bring out some conclusion to the audience by themselves. Since the audience is most attentive in the beginning of the presentation, you must make sure to give the most important point in the beginning. If you want to get your message to get through the audience, you should state it loud and clear in the beginning and also repeat it at the end. Do not make too much movement or do not use too many colours in your presentation as they are also a cause of distraction of mind. It is also noted that most people do not have their opinion; rather they do what others want them to do or what others are doing. For instance, a person may not understand a joke but he would laugh aloud just because others are laughing. Do not keep beating your own trumpet; the audience would not be eager enough to listen to you in this case. On the contrary, if you tell some negatives about you, they would surely listen to you. There are also some people in the audience who want to show off their intelligence. Tactics must be learned to handle such people for continuing public speaking. All in all, the best approach could be to divide your presentation in several parts, each ending by an intermediate conclusion. This would help the audience who got distracted to catch up with you, particularly if you outline the structure of your talk in the beginning. Understanding this behaviour of the audience would surely be of great use to people in public speaking. This would help them to improve their public speaking skills.